South Carolina SC Gifts SC Peaches Summer in South Carolina means peaches. From roadside stands to supermarkets, this delectable fruit graces our shelves and palates from early June straight through to September. Want fresh SC peaches delivered to your door? The farms below handpack and ship peaches directly to you in custom containers. South Carolina is #2 in the nation in peach production (second only to California). We lead all southern states – including Georgia! – and are fondly called the "Tastier Peach State." As a matter of fact, the peach is SC's state fruit. If you haven't tasted one, you're missing out! The SC Legislature made the peach our official state fruit in 1984 – fitting since we have over 18,000 acres of peach farms across the state! While it may be hard to think of South Carolina without peaches, the fruit is actually native to China, where it has been cultivated for more than 4,000 years. Spanish explorers first brought peaches to our part of North America in the 1500s. When colonists arrived here in 1670, they discovered Native Americans growing descendants of those early Spanish peach trees. 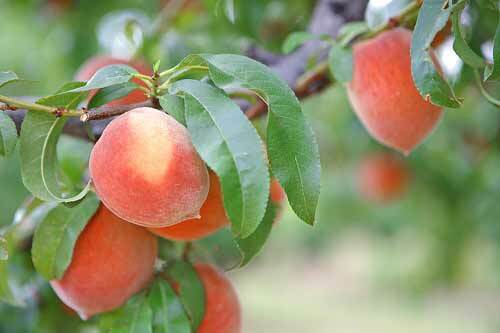 This led many early settlers to believe that peaches were native to South Carolina. It wasn't until the 1850s that South Carolina began to grow peaches commercially. Then, in the 1920s, their popularity blossomed as cotton farmers stymied by the boll weevil looked for new crops.The golden years of peach production started after WWII and continued until about 1984, when our state harvested its biggest peach crop ever: 480,000 tons. Did you know that South Carolina actually outranks Georgia – "The Peach State" – in its production of peaches? During a normal year, South Carolina grows 60,000 tons of peaches. The next time you're looking for a great-tasting peach, buy local and support our South Carolina peach farmers. 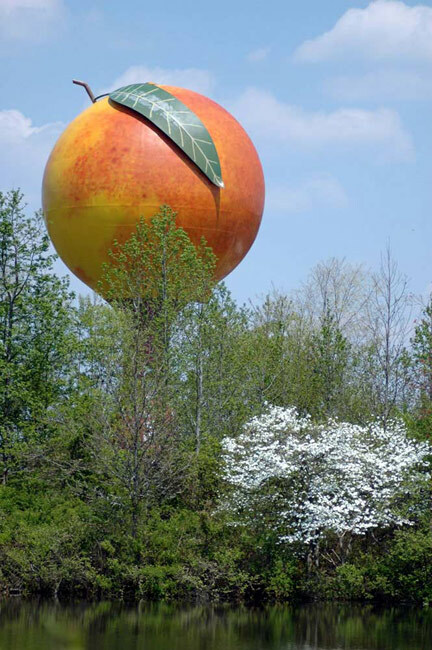 We are, after all, the "Tastier Peach State." South Carolina Peaches – Learn More! South Carolina Peach Council - includes peach recipes!